Fixer upper alert. Are you looking for a project? Then this is it. 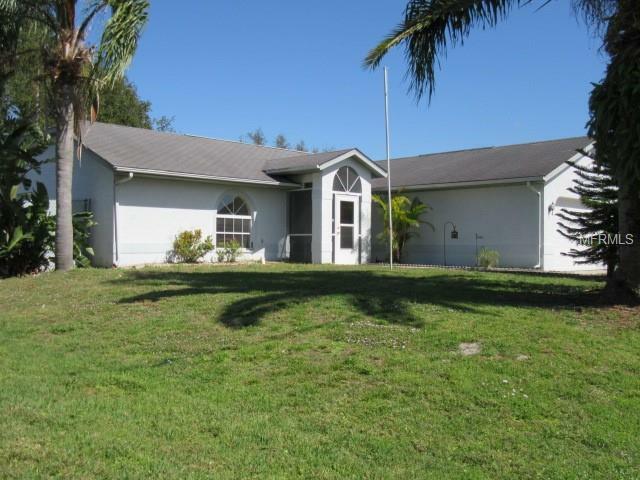 This home has 3 bedrooms and 2 baths with a large eat in kitchen. The kitchen and family room have newer tile floor. There is also a nice large pool with a nice sized lanai attached. There is plenty of room in the back yard for your furry friends and is completely fenced in. Master bath has his and her sinks and nice size walk in closet. Make this home your today.